We always have a first aid kit close at hand. More serious injuries are rare. Porters will assist injured climbers to the base of the mountain and onward to a clinic or hospital. Kilimanjaro International Airport is very near Marangu Gate if evacuation to The US or Europe is advisable. Are sleeping bags or sleeping mats provided on the mountain? Drinking water – is it safe and is there enough for all climbers? How much time do I need to climb the highiest peak of Africa Mount Kilimanjaro? 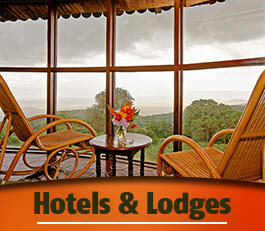 Would we be involved in cooking or setting up campsite during the safari or mountain climbing in Tanzania? No, everything is done for you. All you have to do is carry a day pack, with your water, lunch boxes, extra clothing etc. and everything else is done for you. The major sources of cost variations are the money spent on food, off-mountain accommodation, porter and guide wages, tents and the cost of getting to the mountain. AARDVARK EXPEDITIONS is determined to provide the best food, best guides and porters, best tents and equipment, top quality before-and-after-climb accommodation, a full professional pre-climb orientation, insurance for all staff and inclusion of all park permits, meals, transfers and local hosting costs. On some of the least expensive trips food is minimal and often prepared by frying. Because guides and porters are expected to cover part of their wages with tips, these companies cannot attract the best staff. Often they do not provide full warm clothing to staff. The mountain is hard on tents which are expensive in Tanzania meaning that tents on cheap trips are often worn or dirty. Our approach is not to provide the cheapest trip, but rather to do everything we can to increase the likelihood you will reach the summit and enjoy the overall experience with a staff of people who are well qualified and compensated for the extraordinary assistance they provide to you. What is the best time of year to climb Mount Kilimanjaro – Tanzania? How far do I hike for each day? It is more reasonable to measure each day in hours walked rather than miles. Most days, other than the summit day, will begin with breakfast around 06hr30 and departure at 7hr00. You will walk 4-5 hours with a break for lunch followed by another hour or two of hiking in the afternoon. These days are not long or difficult and you will be advised to walk slowly ("pole, pole" or "slowly, slowly" in Swahili) by your guide. What time do i/we leave on summit day? 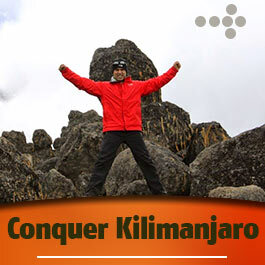 You will leave Kibo/ Barafu hut around 12hr00 – 14hr00 to attempt the summit. The time will be decided by the guide. The reason for the midnight wake up is that the screen slope that you will walk up is still frozen at this time of the day….therefore making walking easier. How much weight will I have to carry, and where can I leave things not needed on the Kilimanjaro trekking? What kind of staff will accompany me on the climbing? What is provided, and what do I have to bring during the climbing to Kilimanjaro or Mount Meru? We provide tents, food, utensils and leadership. You should bring your own sleeping bag rated to 10 degrees F., water system, personal clothing, sleeping pad, light duffle bag and day pack. Hiking poles can be rented for US$10. A packing list is provided to all climbers, along with our pre-departure packet. Your tents are mountain-style, double-walled, mosquito-netted and durably-floored with waterproof material. While technically rated as four-person tents, they very comfortably accommodate two people. Tents are erected and packed up by the pottering staff. There is enough space for tall people to stretch out and room for your gear within the tent. On the Marangu Route the huts are just large enough for four bunks built against the walls of A-frame cubicles. Tall hikers will feel cramped. Gear is stored on the floor. Wash and toilet facilities are shared and are outside of the bungalows. What are the health issues on Mount Kilimanjaro? Is Oxygen bottle necessary or available on the Kilimanjao climb? Is it necessary for me/us to get any vaccinations before I leave my country? What will it cost me, and what will it includes? Depending on which route you choose, the climb will cost roughly between US$1,600 and US$1,850 not including airfare. This price with. Aardvark Expeditions Limited includes all regular meals on the mountain, all park fees, transfers to and from the national park gate. 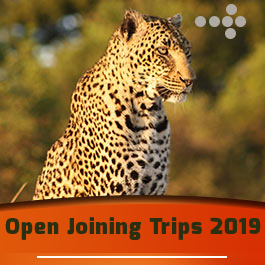 As for expenses you may incur that are not included in your trip cost, you will probably tip your porters and guides US$50-100 depending on group size. The cost of renting trekking poles is US$30, if you do not bring on your own. Also, you may want to buy souvenirs before leaving Africa. Airport pick or departure transfers cost US$ 60 per trip sharing for 2 people and US$ 120 per trip for a large group from 5 on-wards.